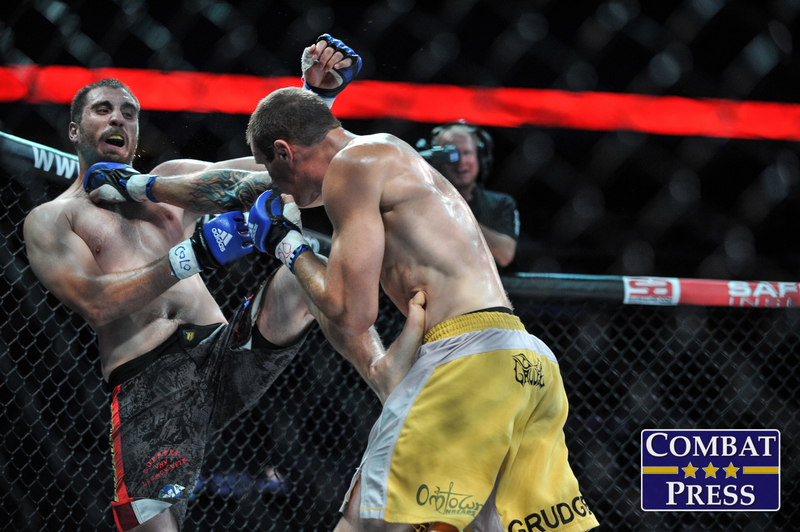 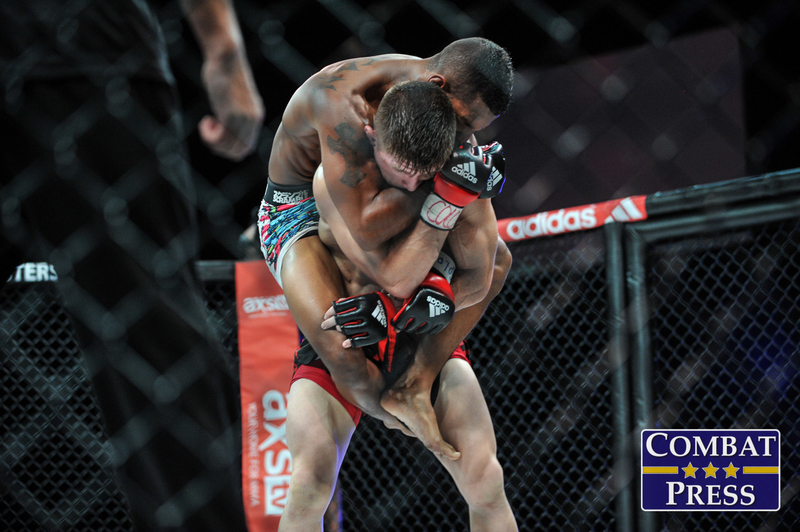 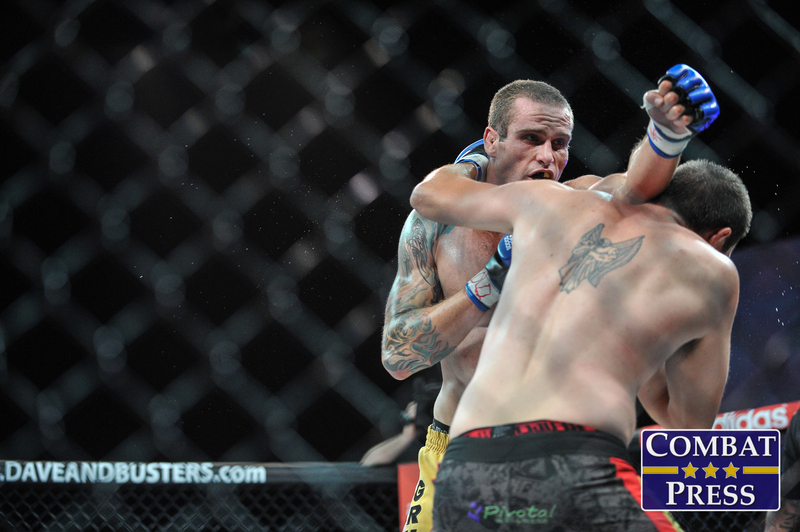 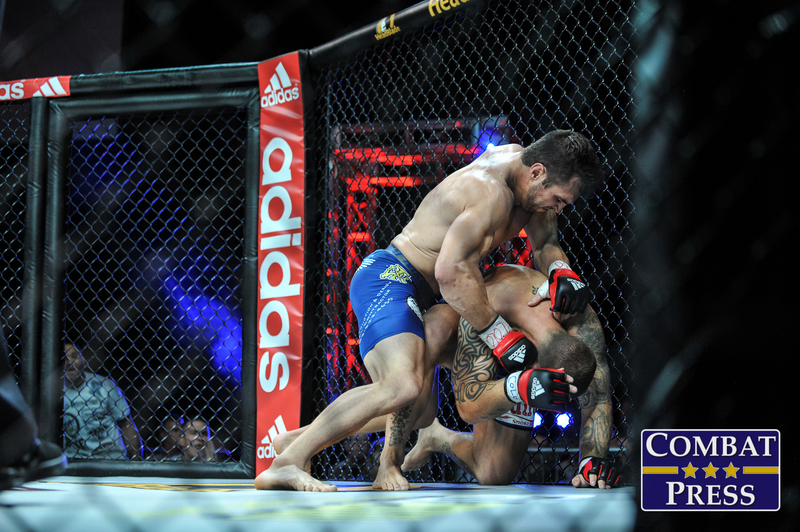 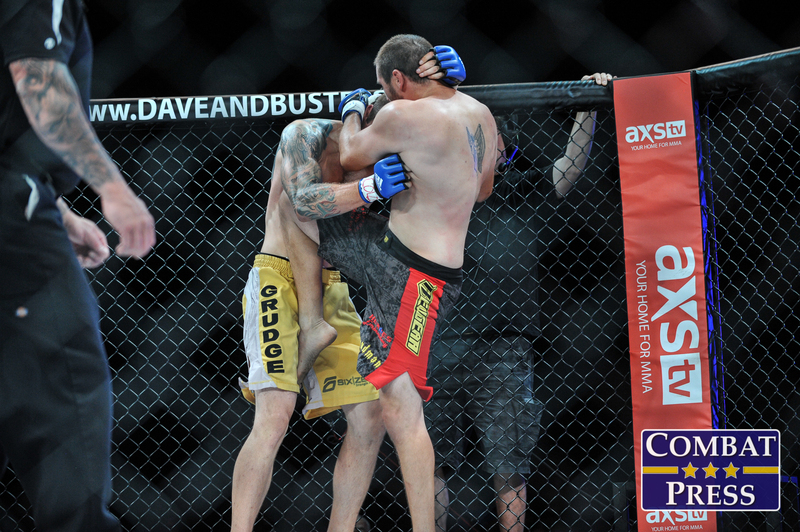 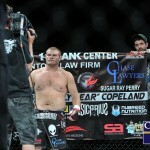 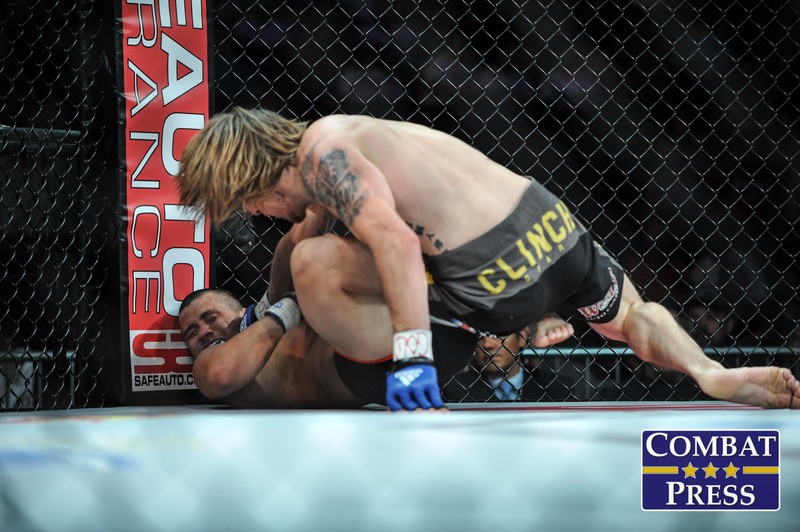 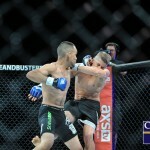 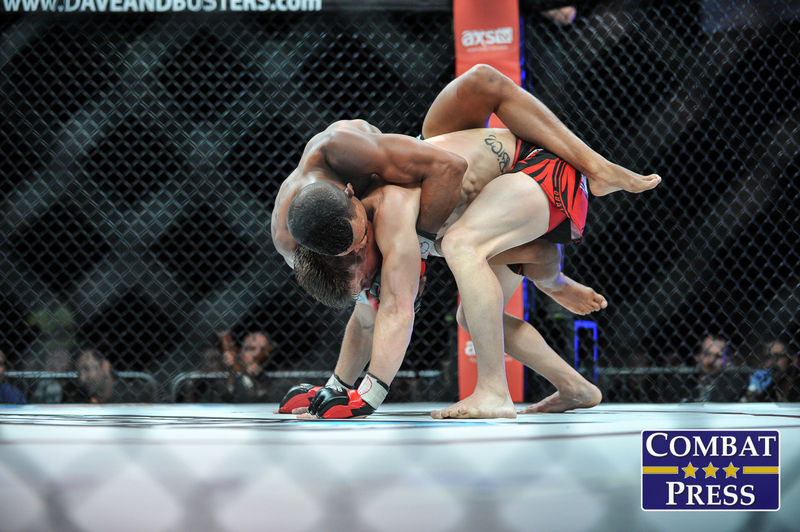 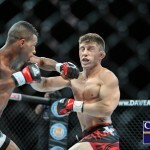 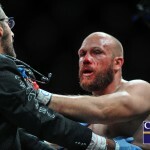 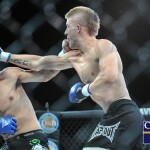 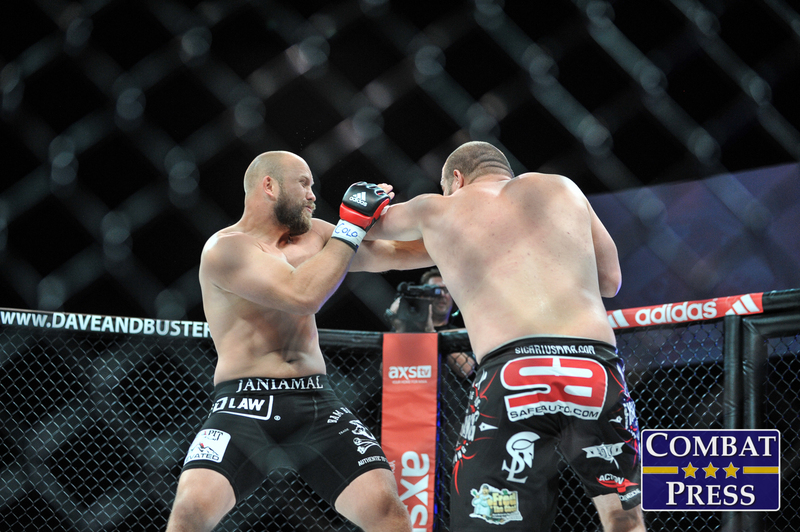 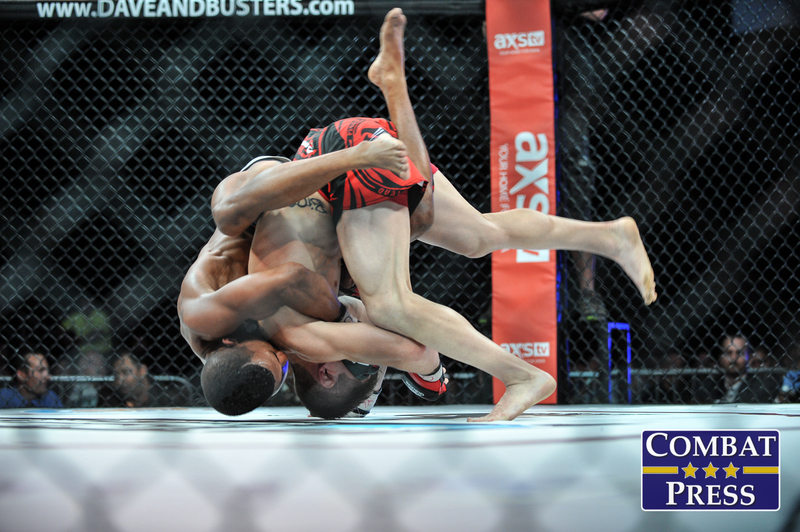 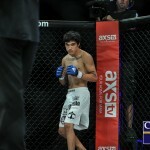 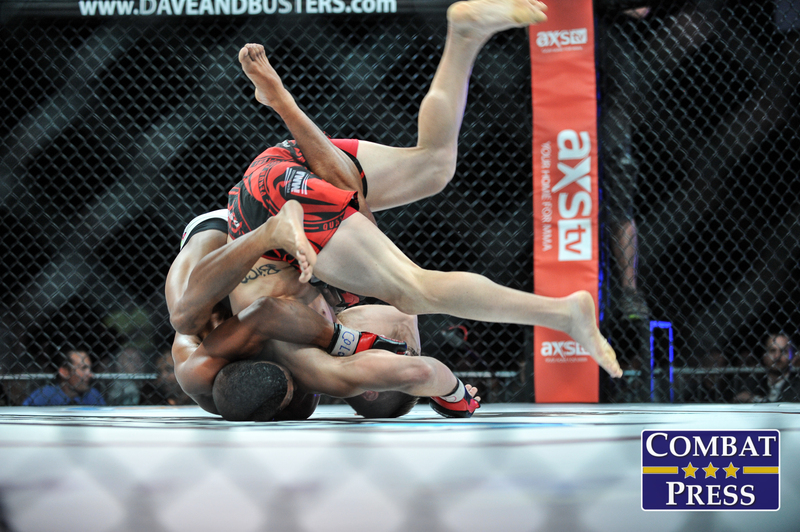 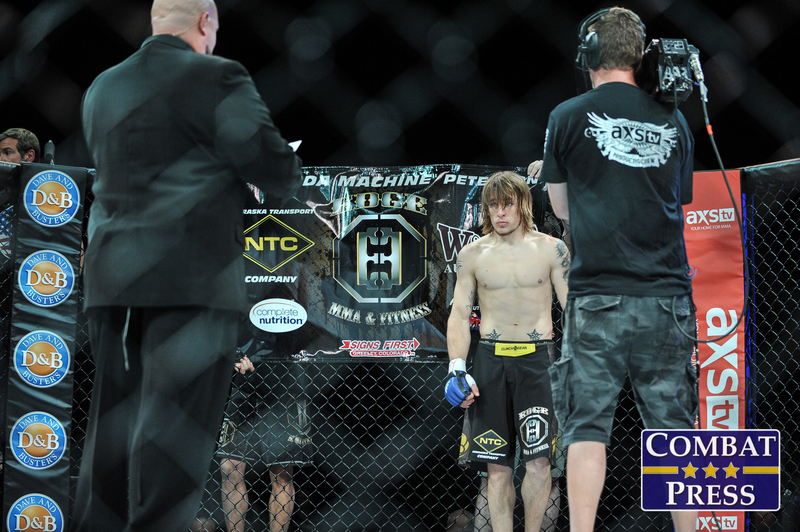 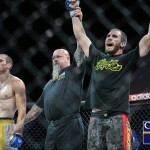 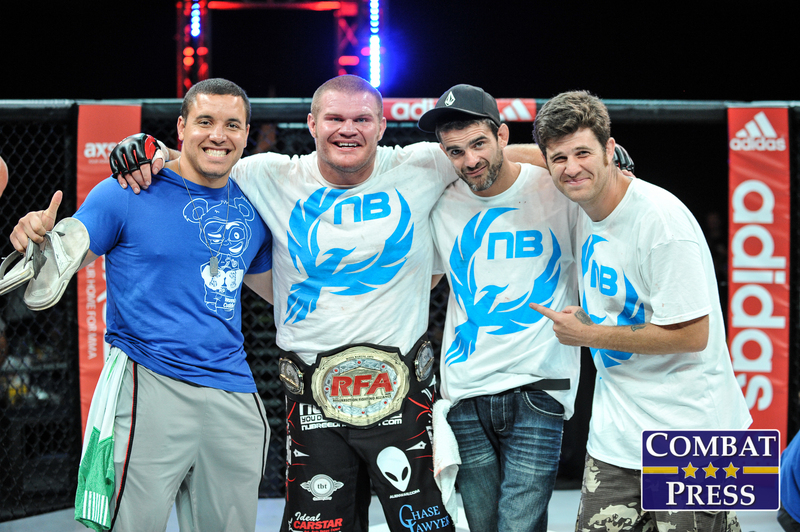 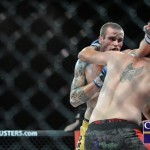 Resurrection Fighting Alliance hosted its 16th event on Friday, July 25 from the 1STBANK Center in Broomfield, Colo. 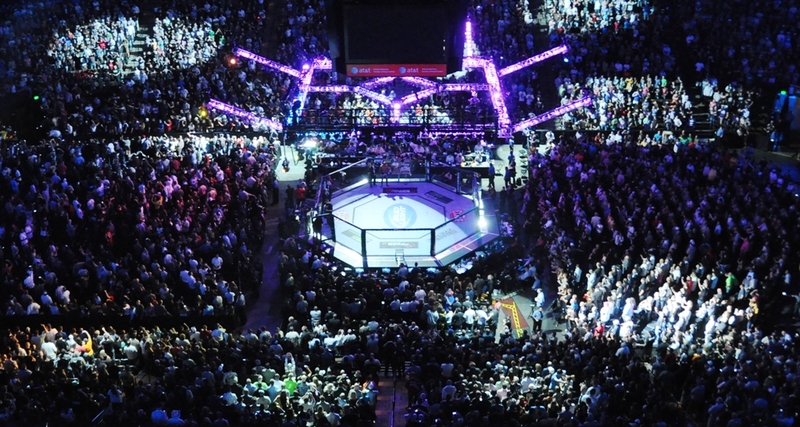 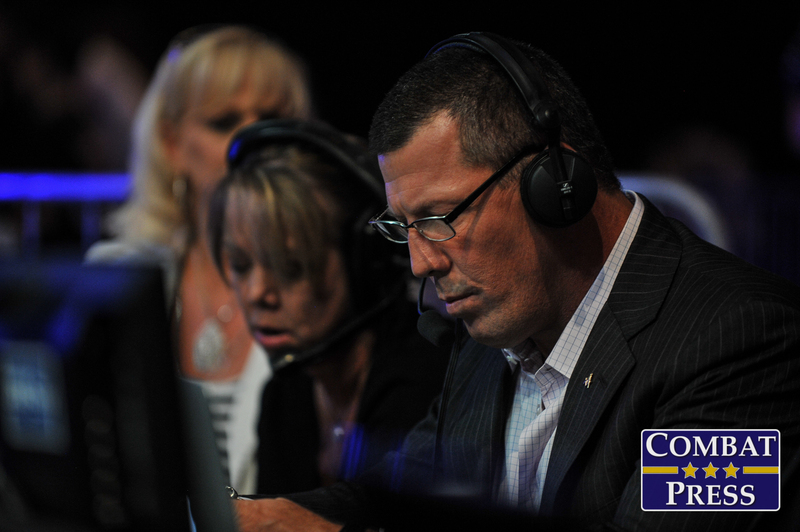 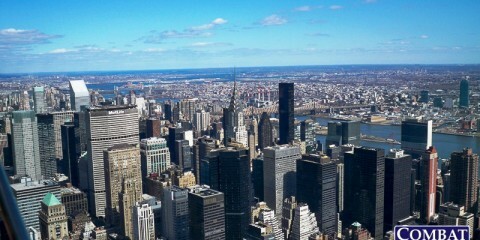 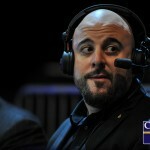 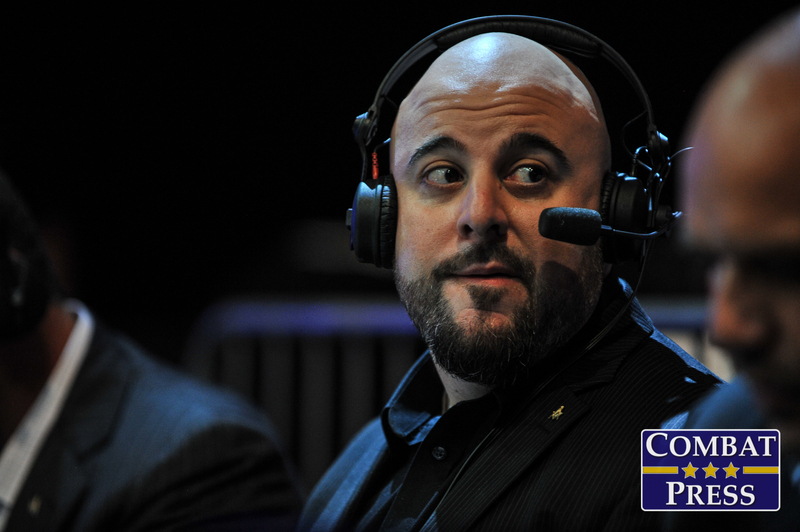 The event was broadcast live on AXS TV. 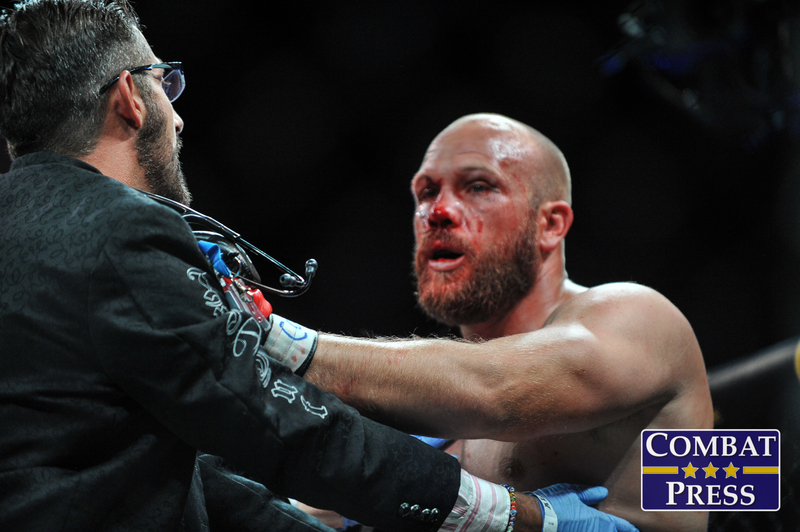 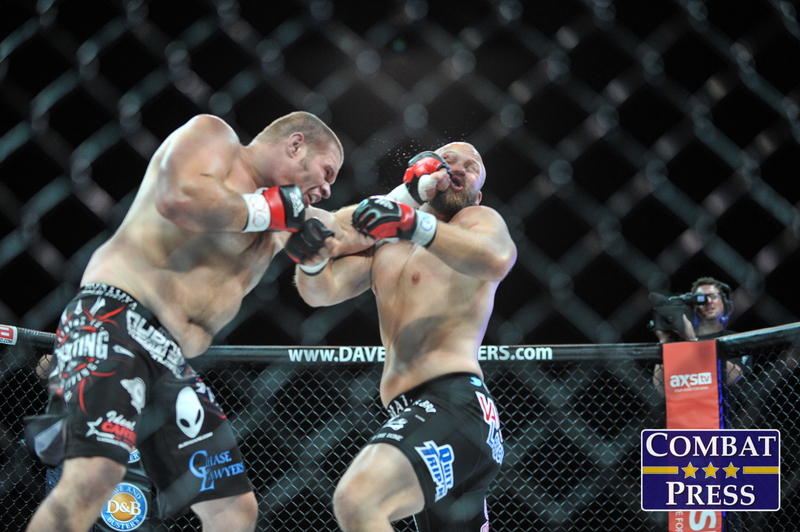 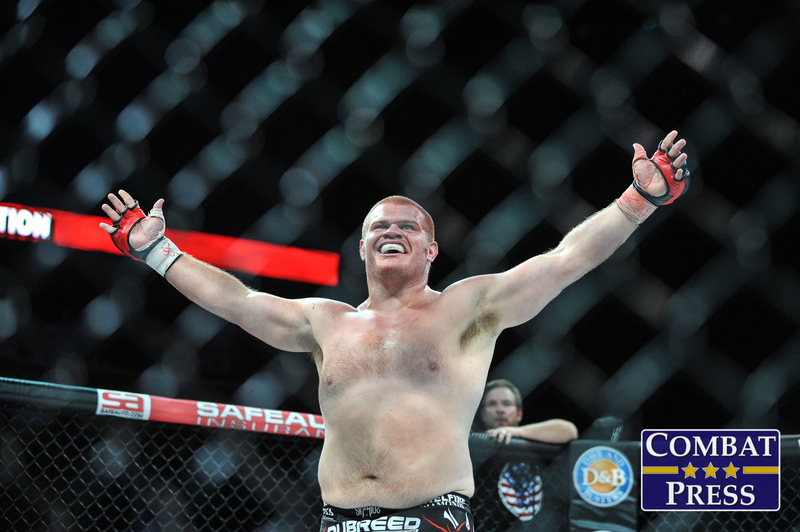 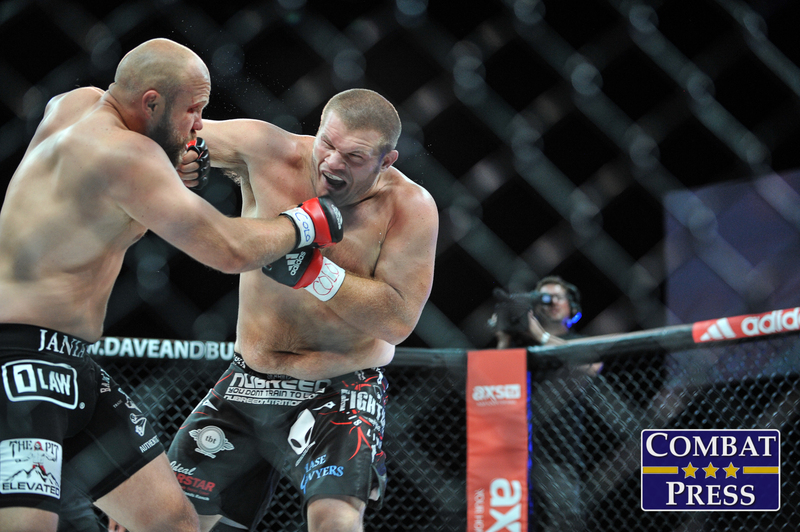 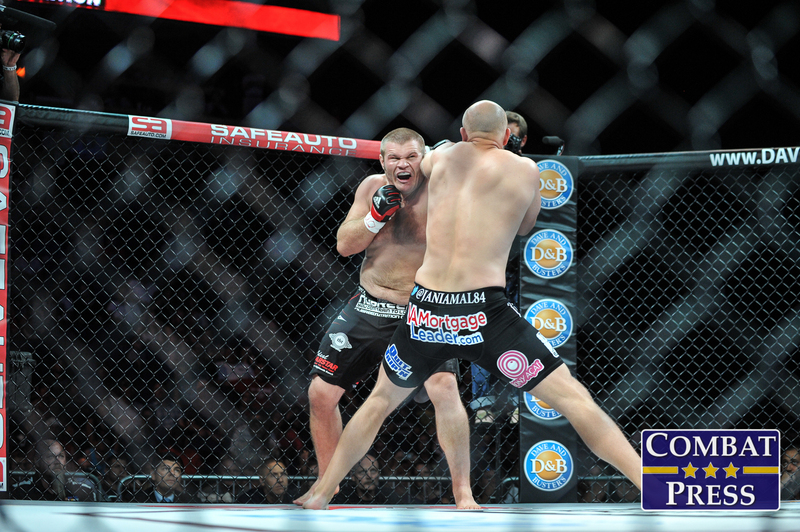 In the night’s main event, the promotion crowned a heavyweight champion as Colorado’s Josh Copeland knocked out Utah’s Jan Jorgensen. 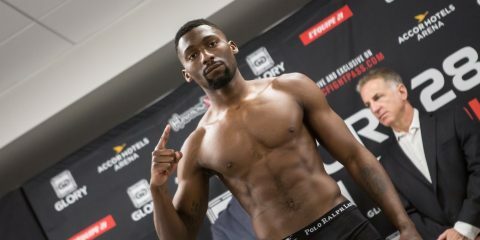 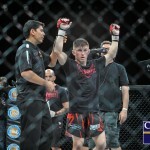 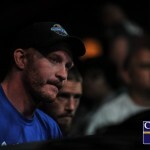 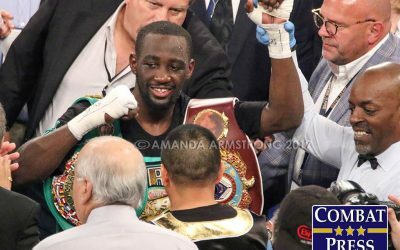 The Grudge Training Center product Copeland had started his career a perfect 8-0 with six of his eight victories coming inside the first round. 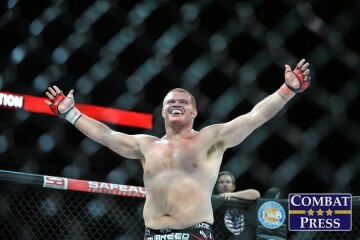 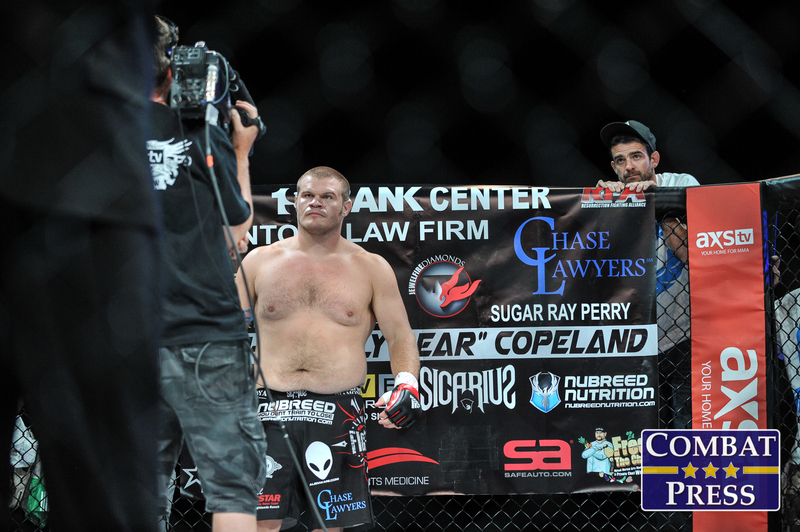 Prior to his RFA debut, “Cuddly Bear” was the Sparta Combat League heavyweight champion and had defended that title on two occasions. 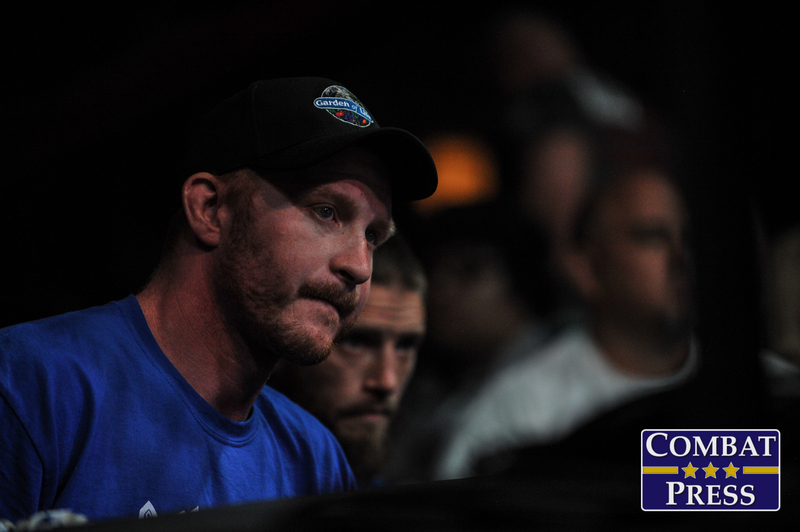 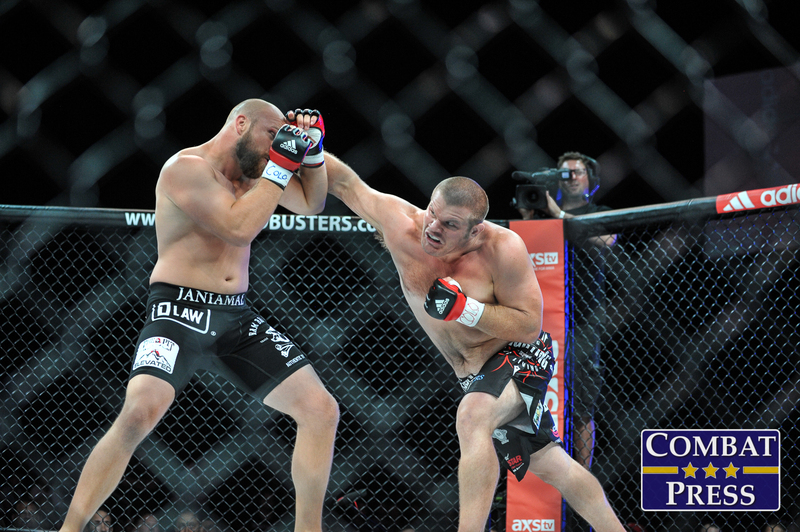 Jorgensen, meanwhile, carried an unblemished record into the bout with Copeland. 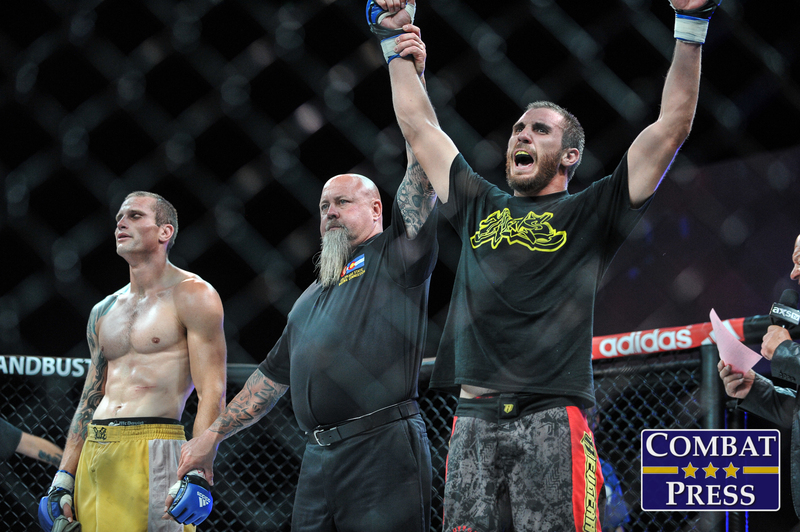 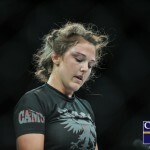 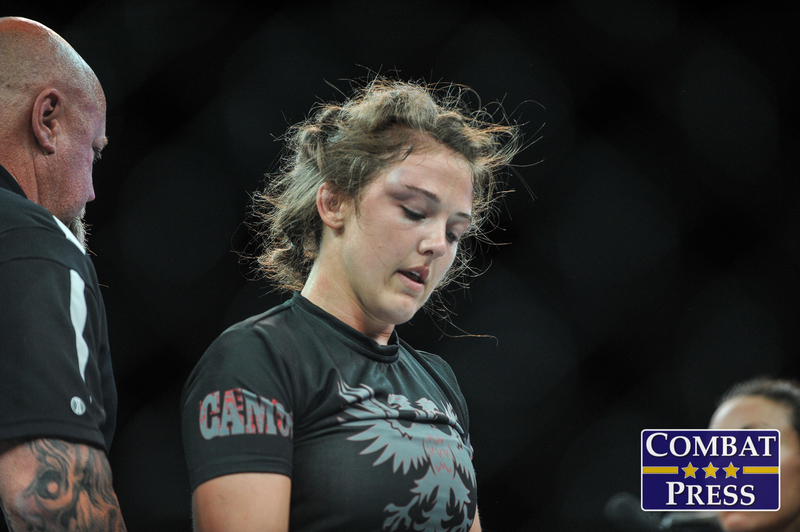 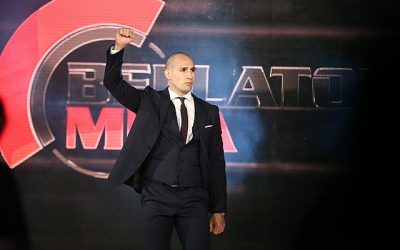 The Utah fighter was a defensive end for Brigham Young University and had picked up seven wins since transitioning to MMA, stopping six of his seven wins. 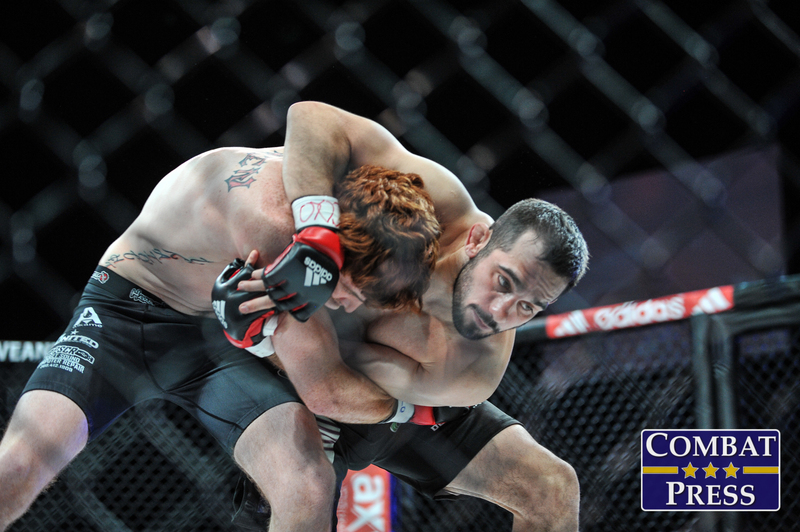 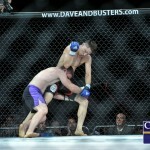 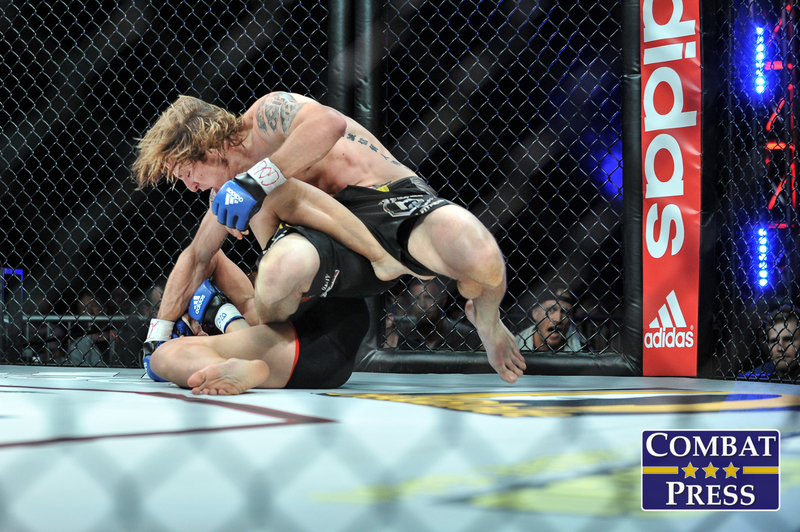 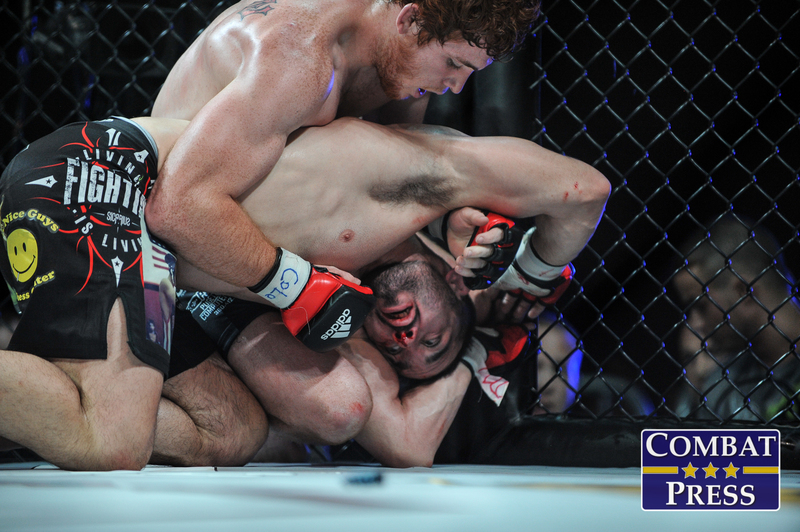 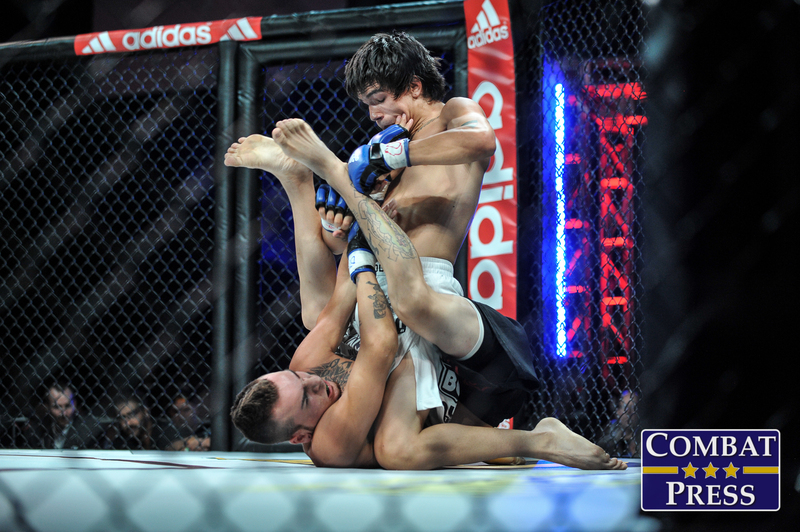 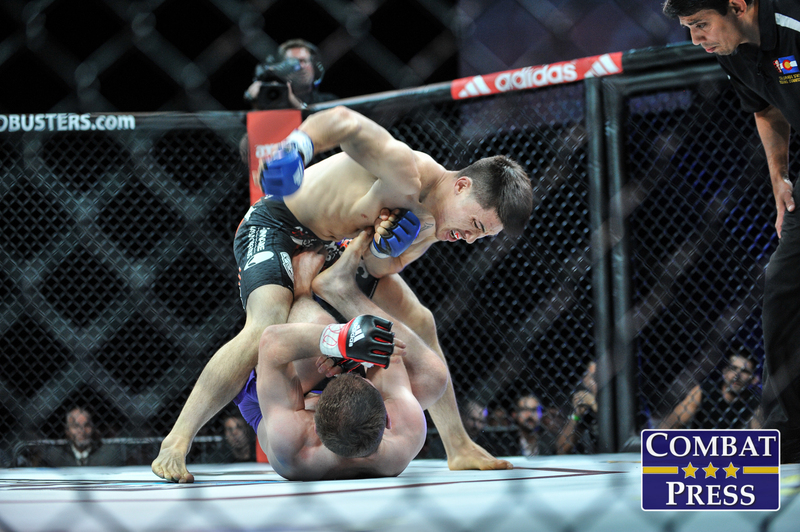 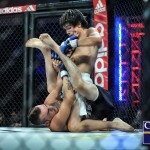 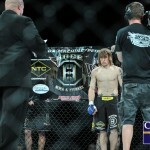 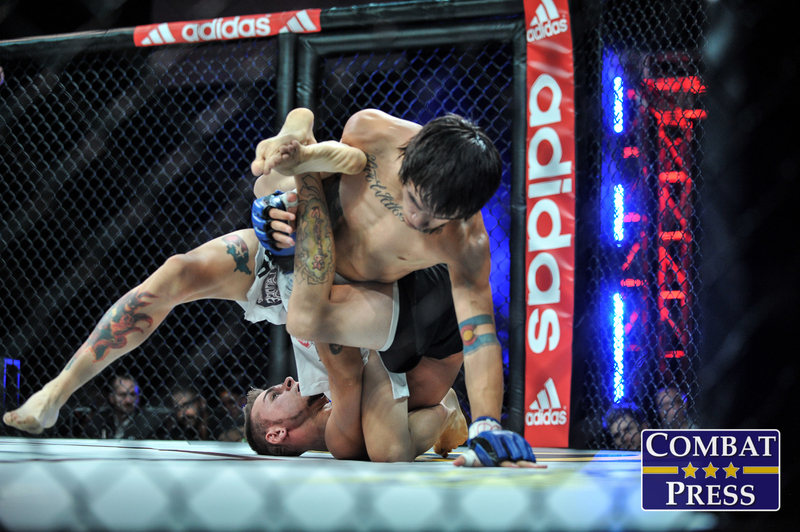 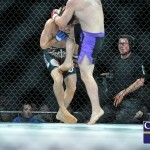 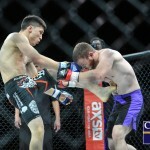 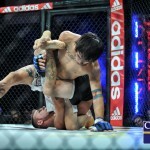 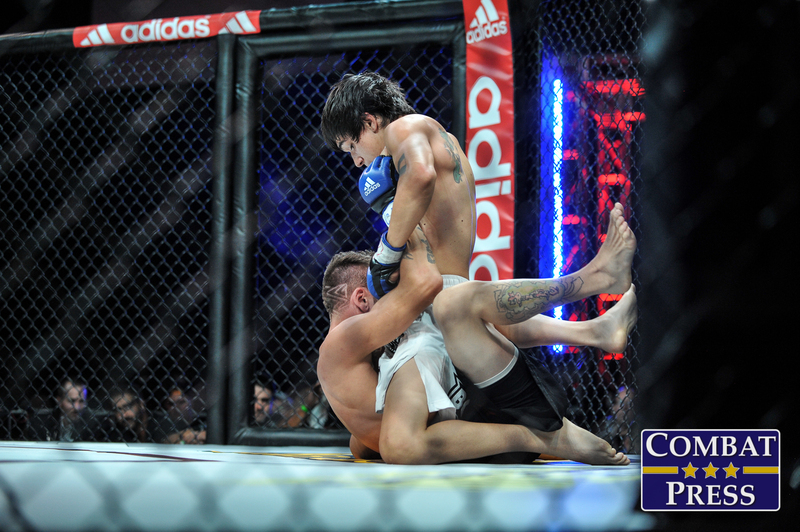 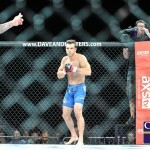 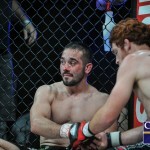 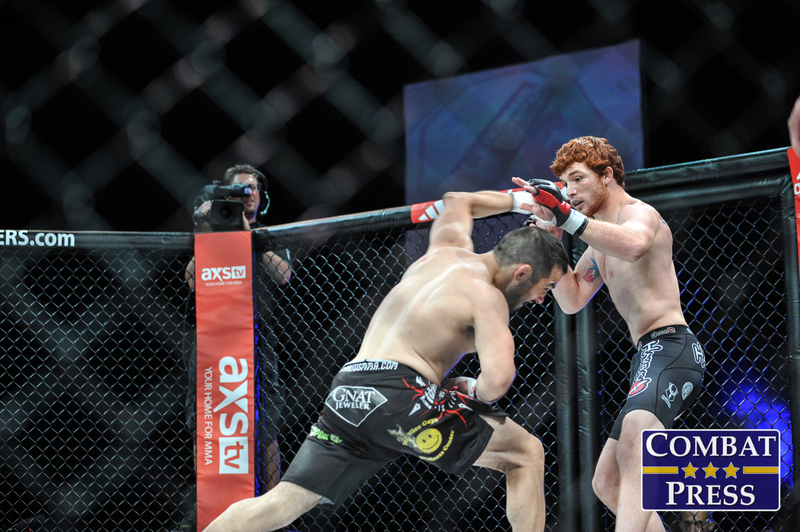 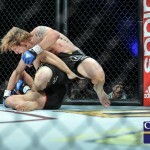 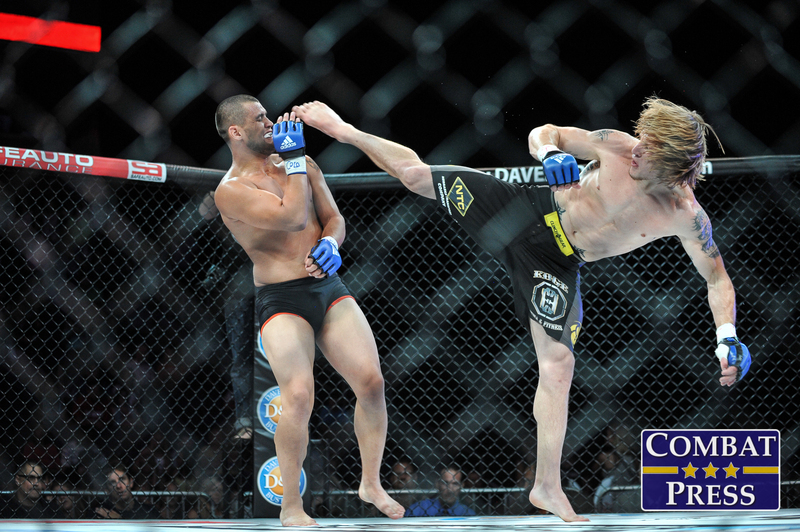 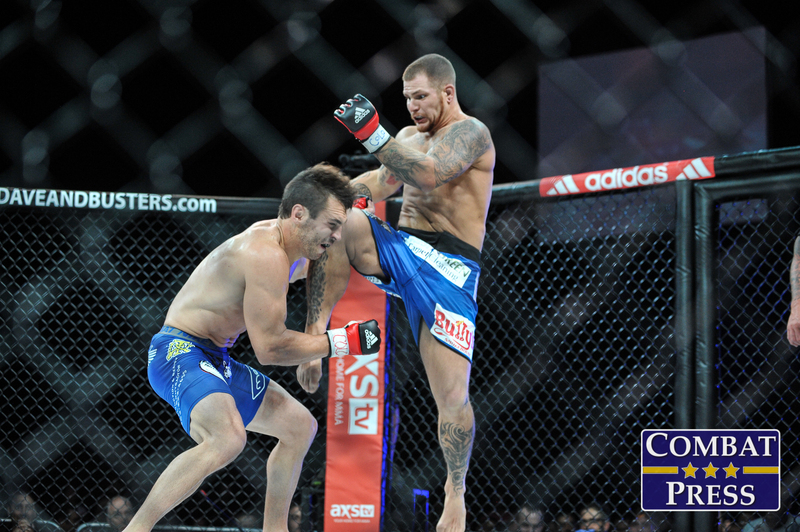 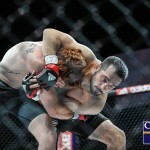 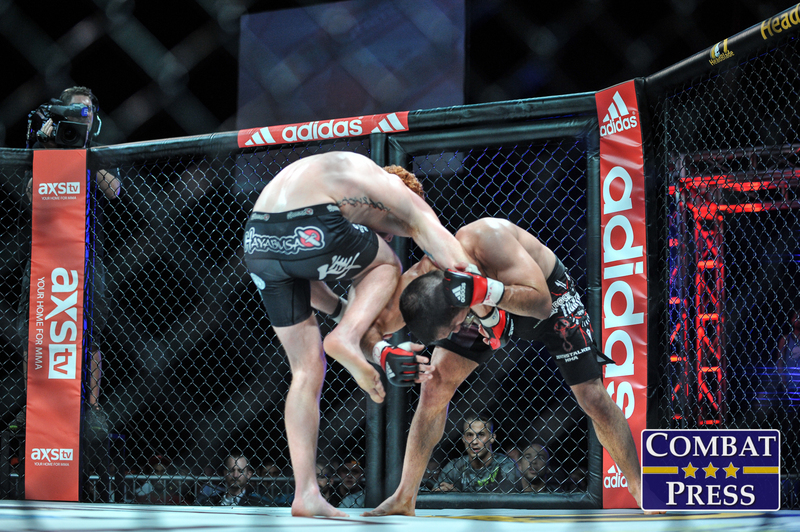 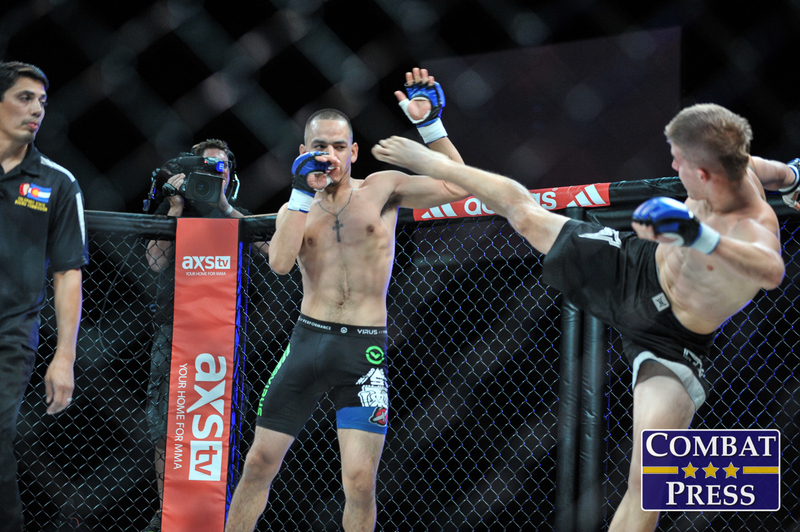 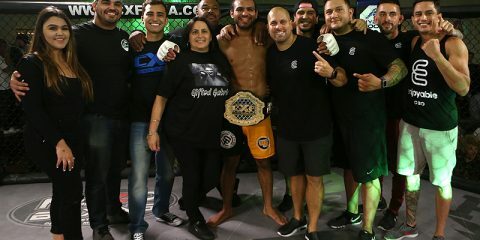 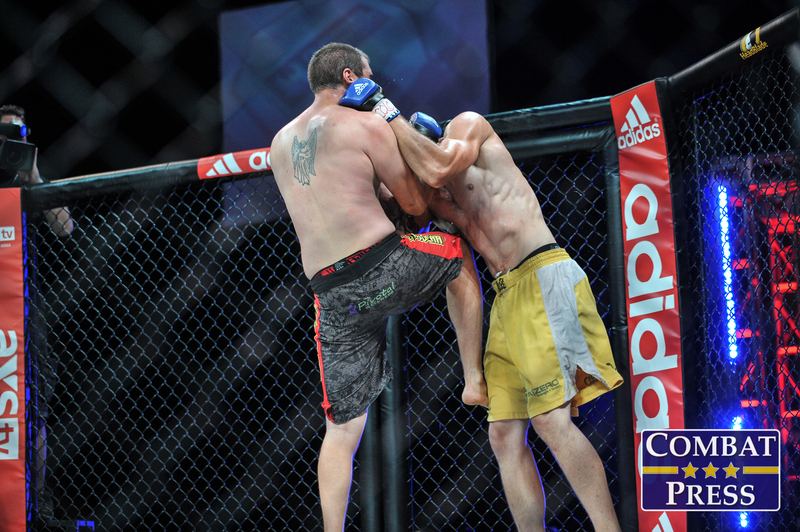 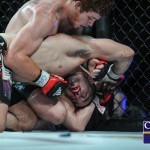 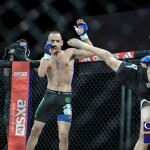 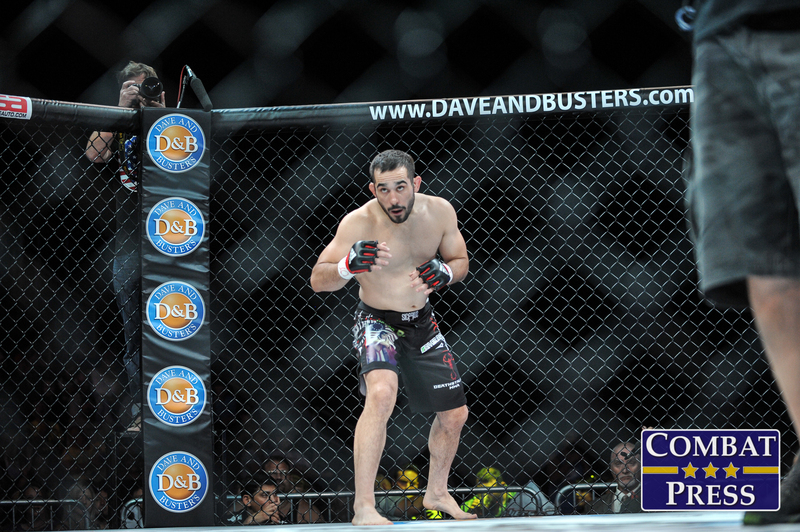 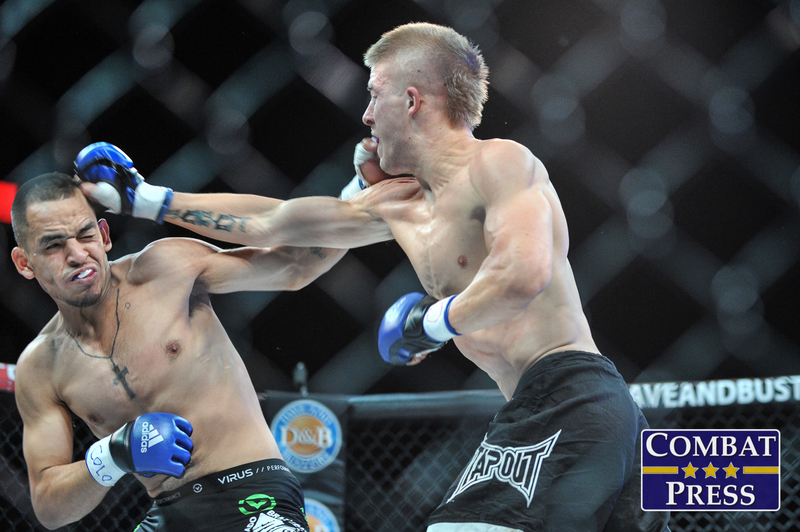 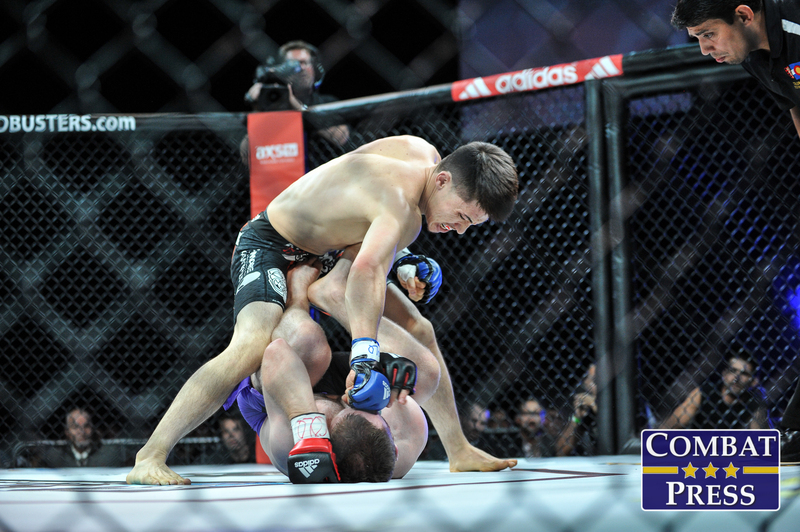 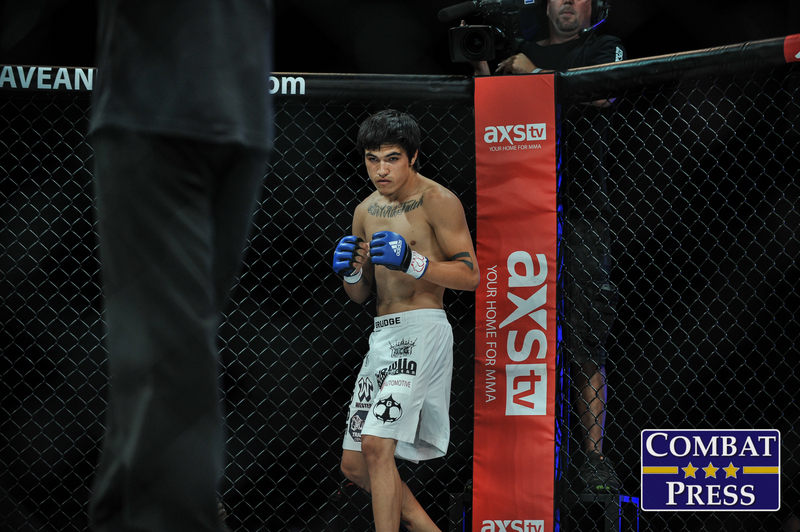 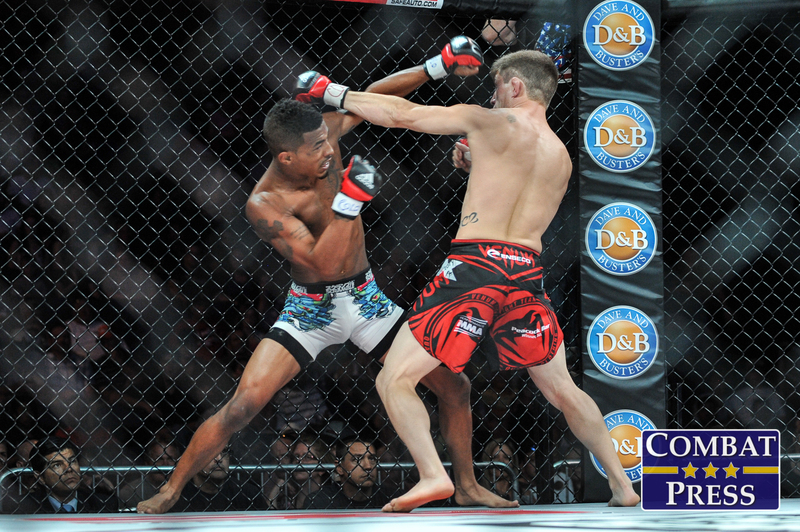 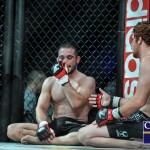 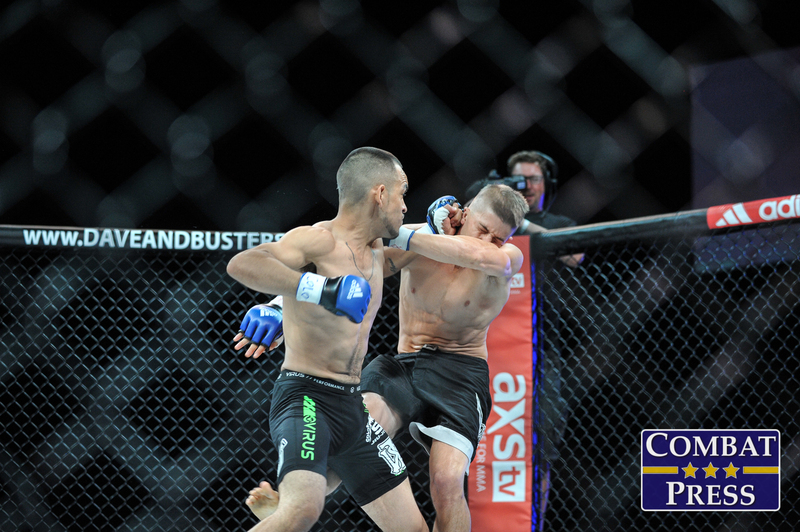 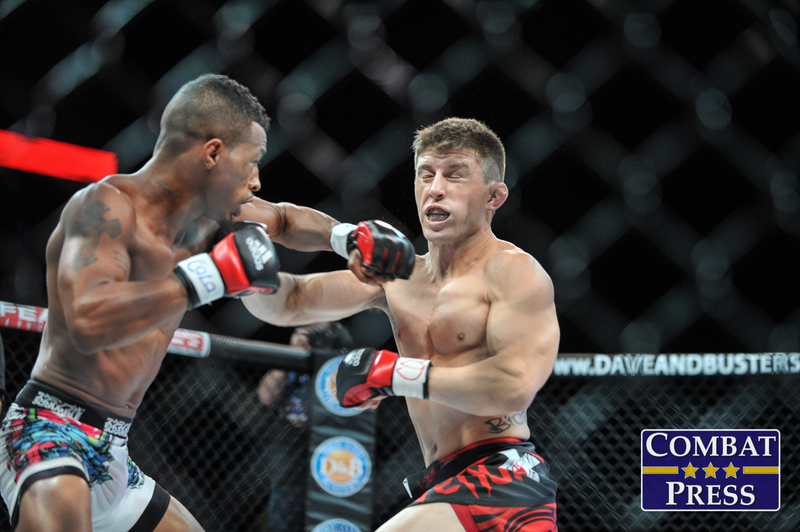 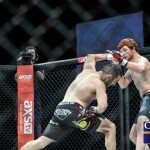 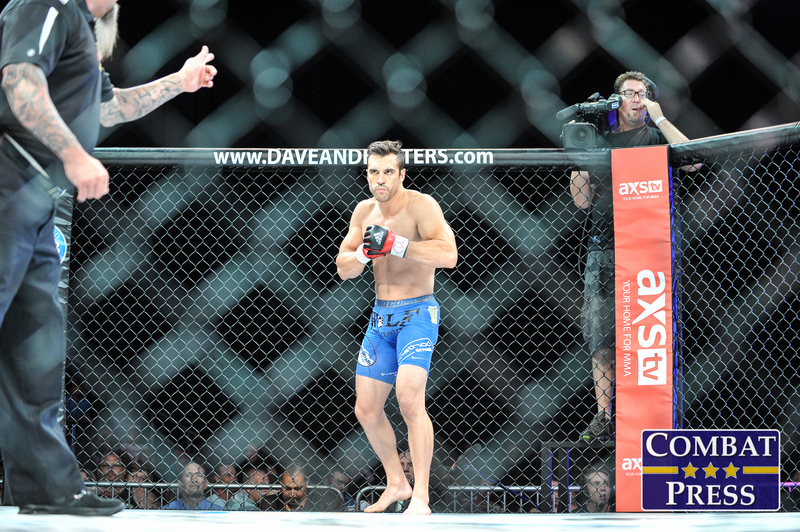 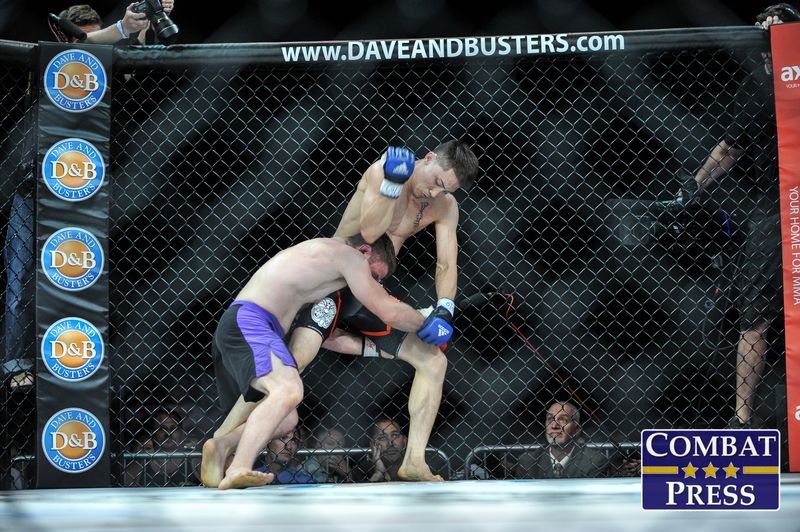 The co-main event saw former Northwestern wrestler Jarred Mercado ground out XFC and MFC veteran Daniel Swain in a 140-pound catchweight bout. 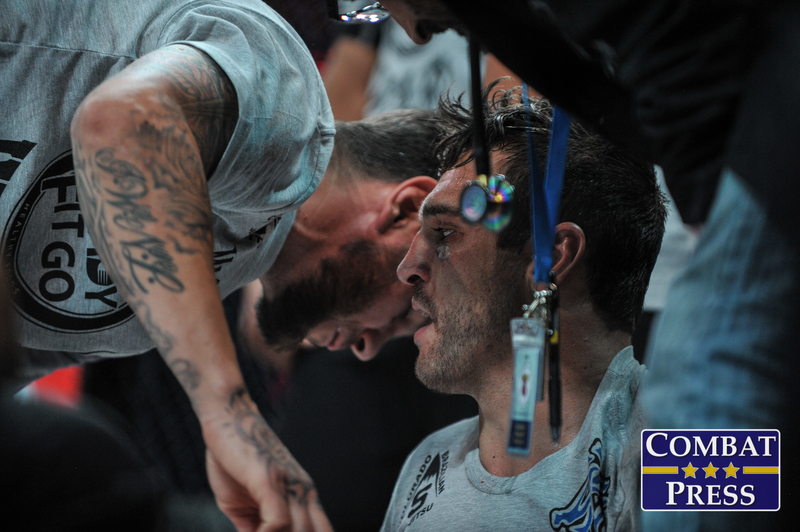 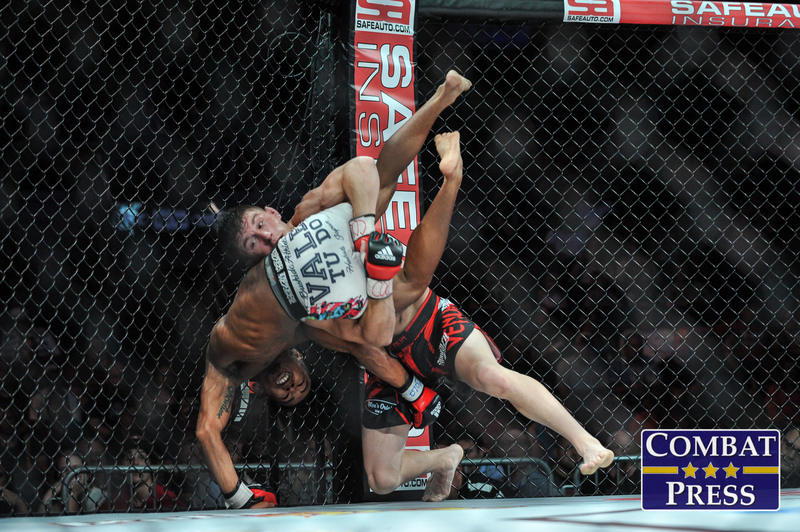 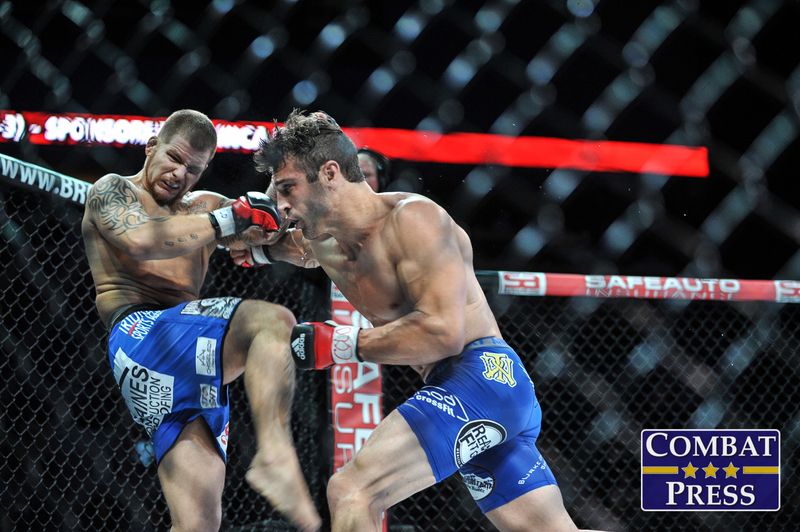 Mercado was originally expected to face jiu-jitsu ace Joe Murphy in a bantamweight No. 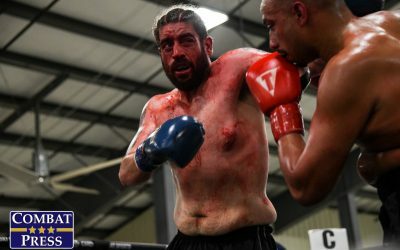 1 contender’s bout, but Murphy was forced out due to injury. 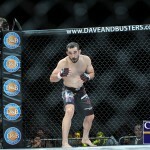 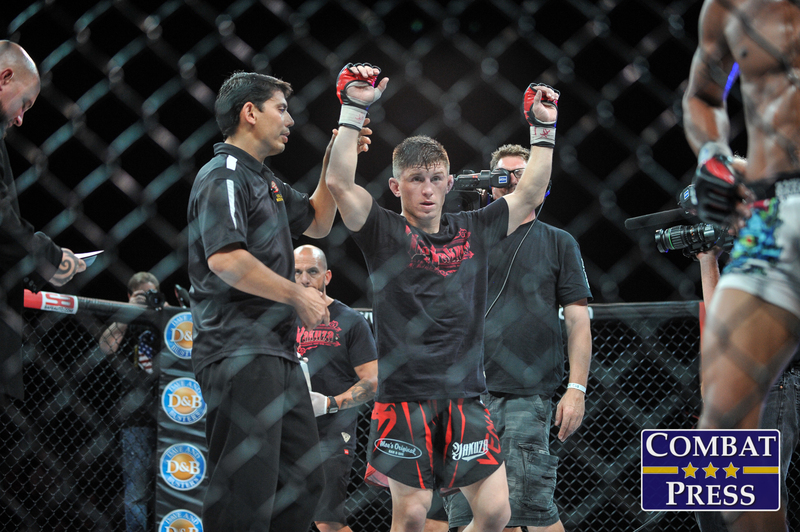 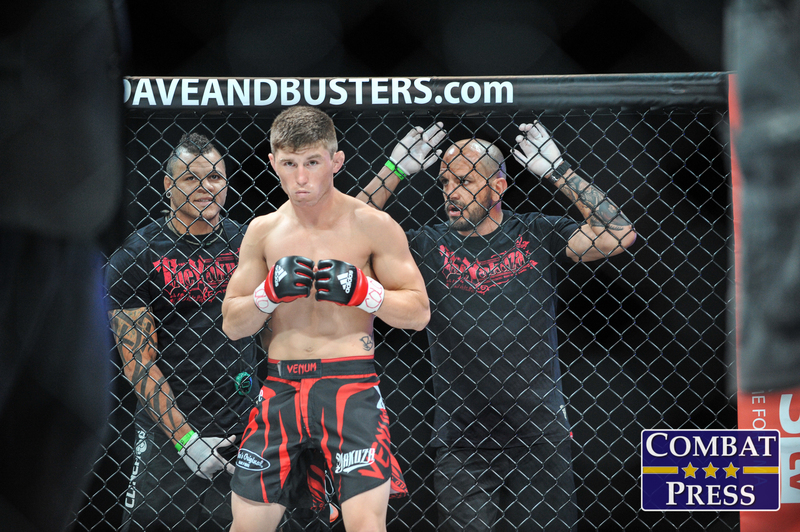 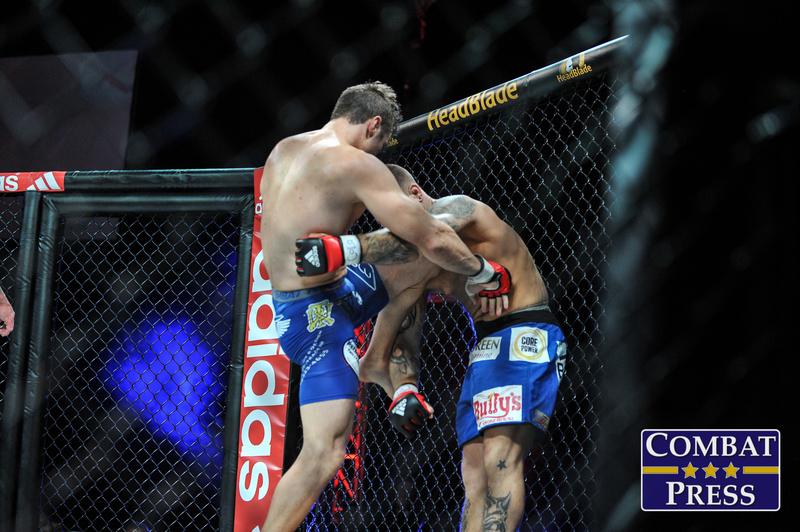 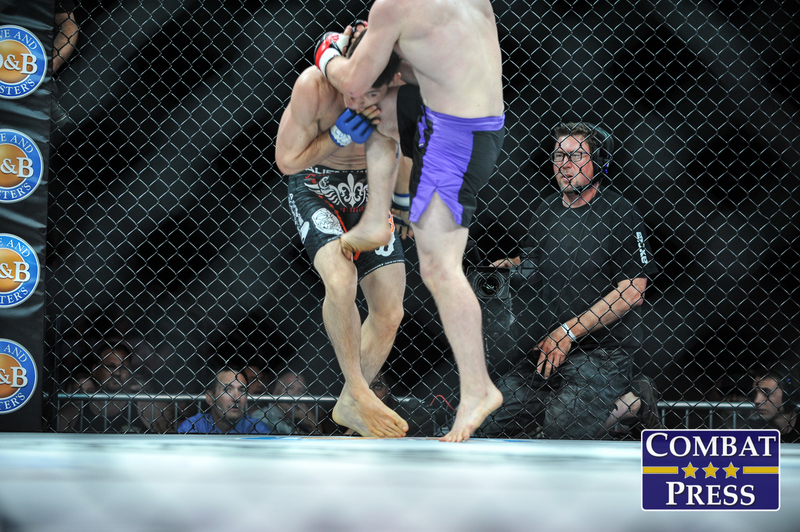 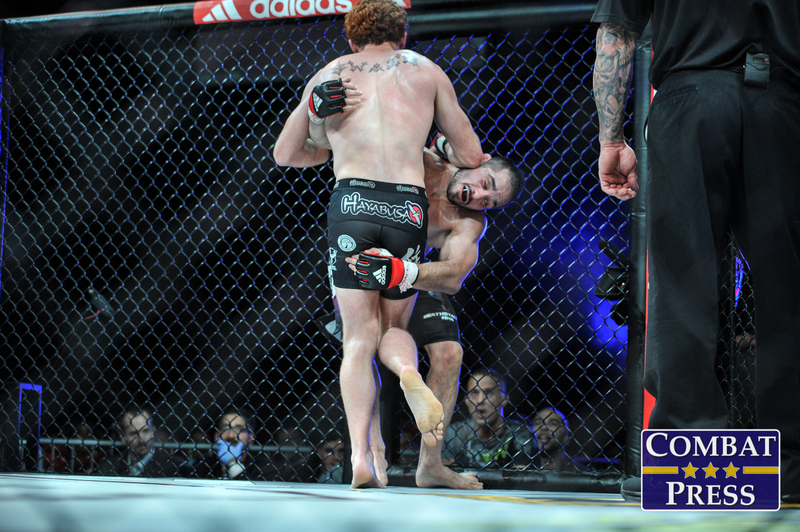 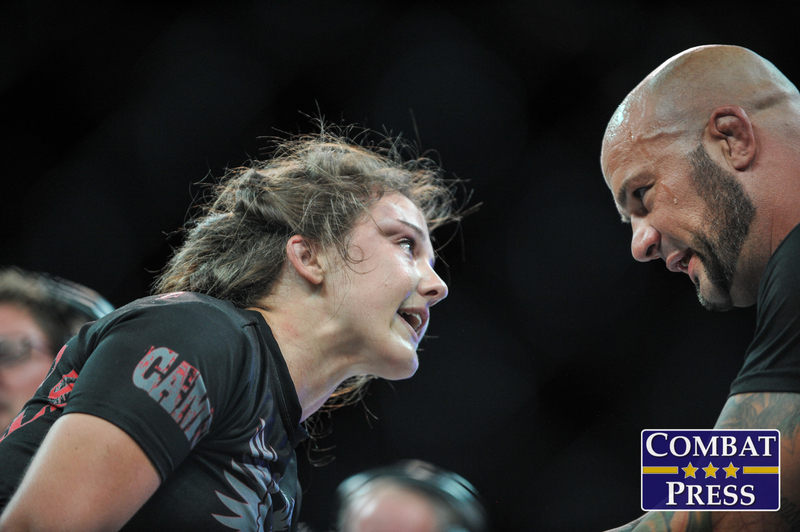 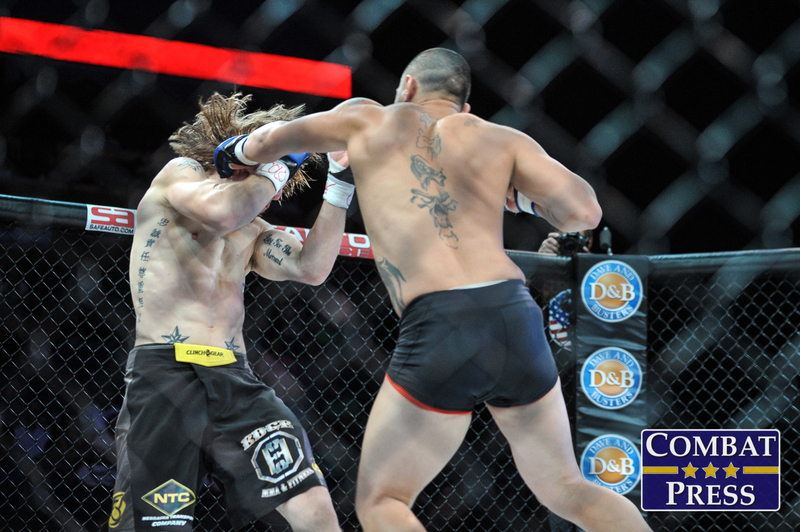 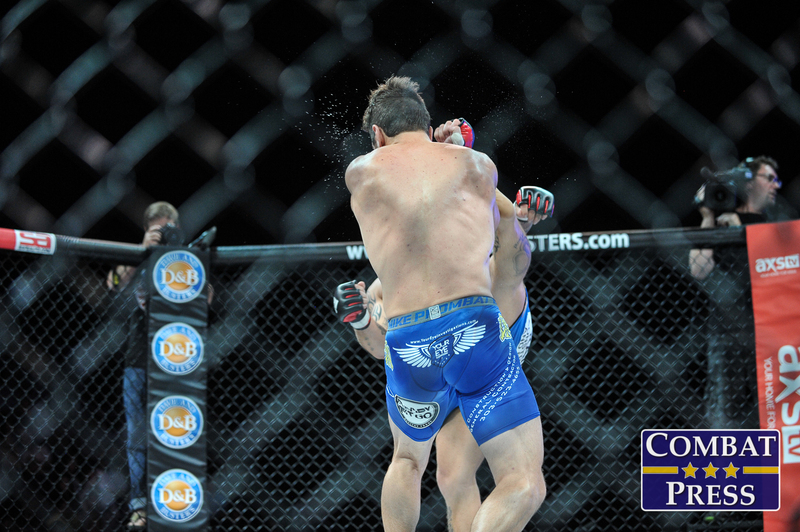 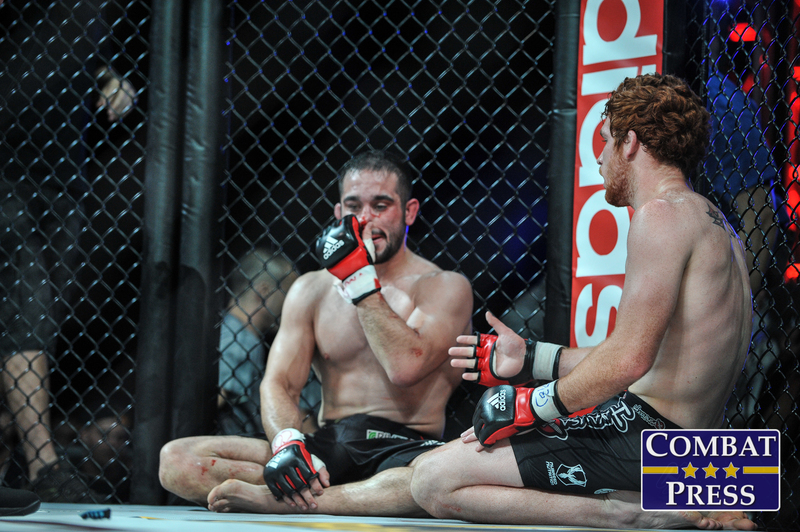 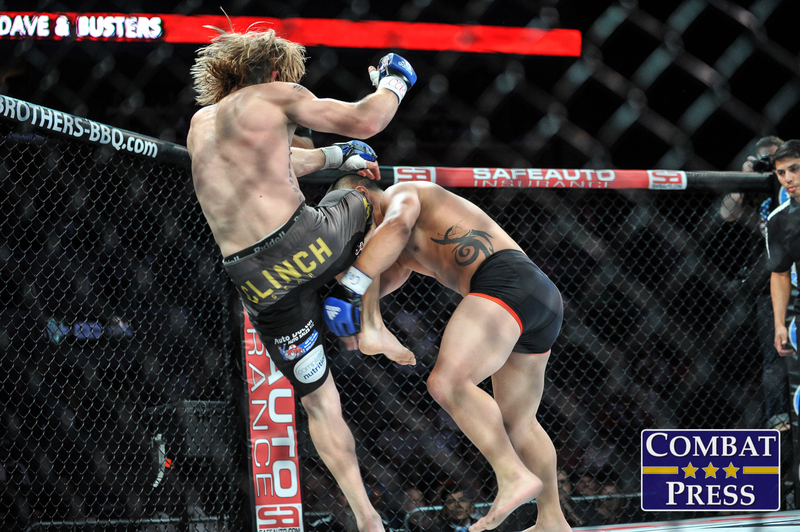 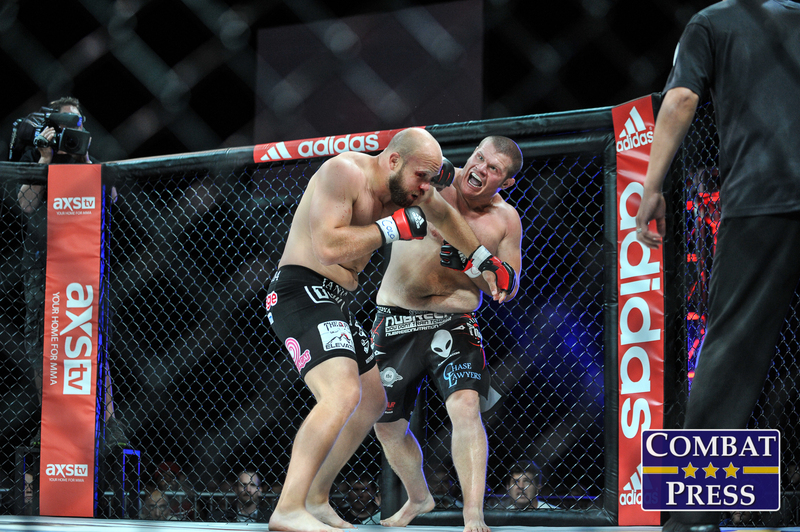 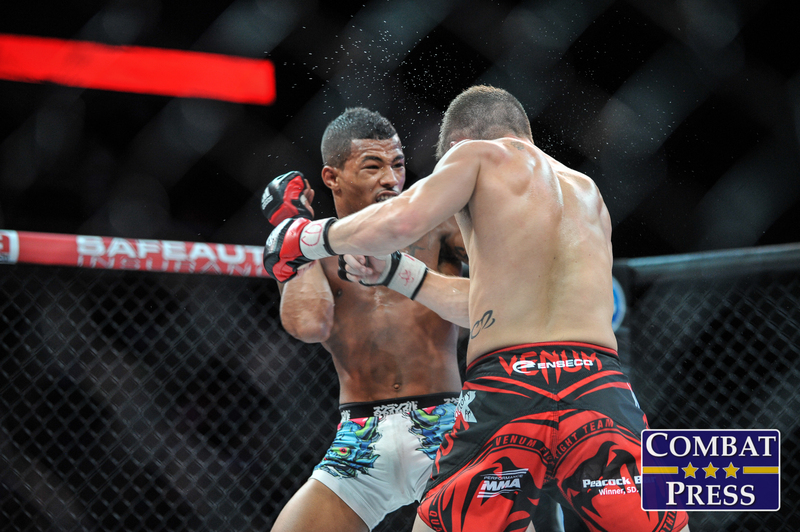 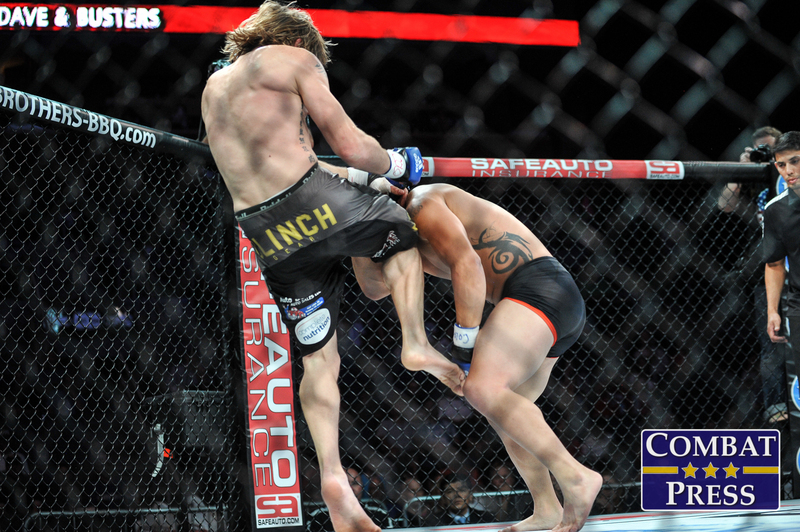 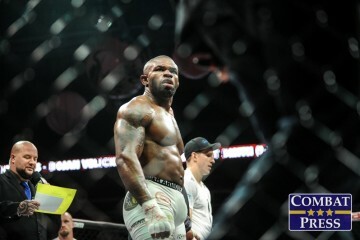 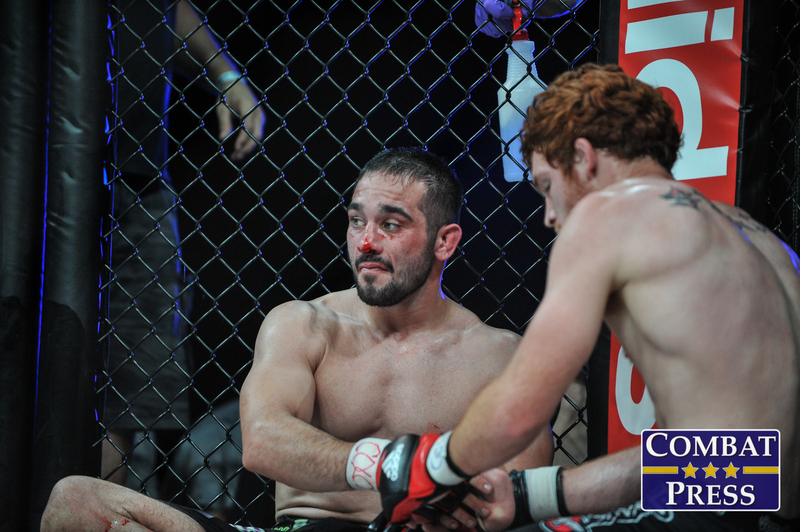 Also on the main card, welterweight Chris Heatherly stopped Josh Cavan, bantamweight Boston Salmon bested Zac Chavez, Marion Reneau submitted Maureen Riordon in a women’s bantamweight bout, and Sid Bice outworked Eric Shelton in a flyweight bout. 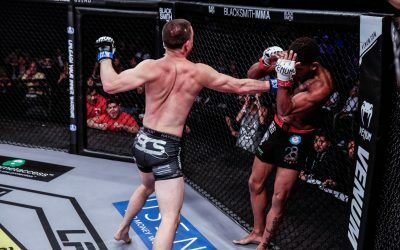 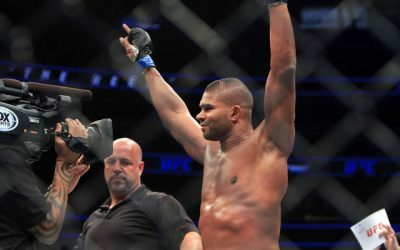 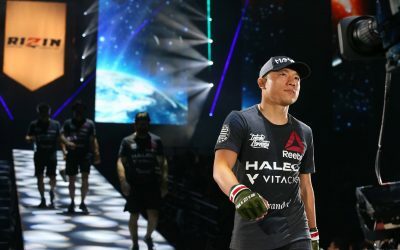 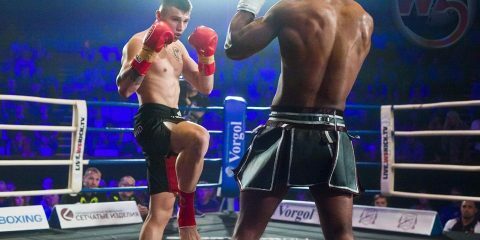 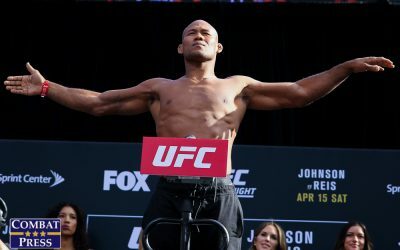 The 11-fight event kicked off with five, un-aired preliminary card bouts, with the six-fight main card airing live on AXS TV.